Our premium Chinese pancakes are made using only the finest British ingredients. Wafer thin with a light texture they’re incredibly versatile - the perfect wrap for crispy duck and other meats, poultry, seafood or vegetables. 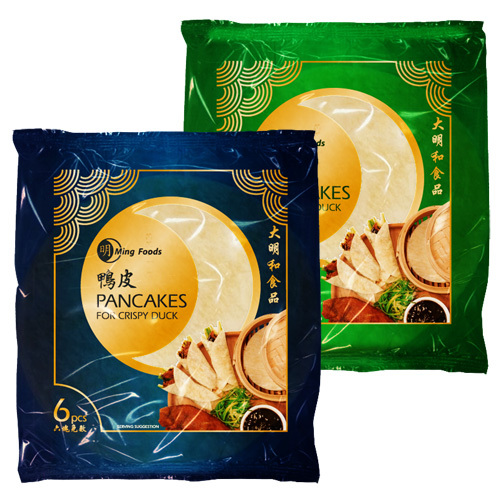 The 6 pancake and 10 pancake packs are both available in wholesale boxes.